Experian has released the Experian/Moody's Analytics Main Street Report for Q4 2018. The report brings deep insight into the overall financial well-being of the small-business landscape, as well as providing commentary around what certain trends mean for credit grantors and the small-business community. The fourth quarter capped a second year of solid performance and growth for small-business credit, but there are signs that the period of moderation experienced during the past two years is over. Since the government shutdown has the potential to throw small-business lending a curve ball in the first half of 2019, the outlook for small-business credit is neutral. Conditions were positive in the fourth quarter, but this may not last long. Delinquency rates remained mostly stable, with pockets of weakness spread out among regions and industries, notably construction in the Plains. In addition to the 35-day shutdown, rising interest rates, destabilizing trade policy and slowing home-price growth are potential trouble sources that are already starting to impact some regions. 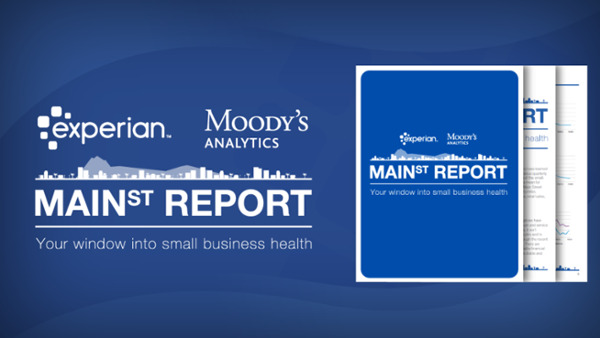 The experts from Experian and Moody's Analytics will be going into detail on the contents of the latest Main Street Report on Tuesday, March 19th, 1:00 p.m. Eastern | 10:00 a.m. Pacific. We would be delighted if you could join us.